The third and final book in the First Responders Series. The first one that I have read. On a steamy spring morning, Dusty Parker—part-time pastor, part-time search and rescue team leader, and full-time administrator at a school for troubled boys—joins the search for a missing teen girl. He partners with volunteer and inner city school teacher Grace Sinclair, and what they find bonds them in ways neither could have expected. As they begin to build a life together, a visitor from the past causes Dusty and Grace to further open their hearts and home. I loved how the hero, Dusty appeared one way on the outside. Tatoo, long hair, large motorcycle riding dude. Yet his heart for the kids he fosters, and the desire to search for the lost is what matters most. Don't assume that someone is a stereotype based on their outward appearance. This book is full of suspense as they seek to solve a crime of a missing girl. The bonding with the rescuers and the trials they face is intense. 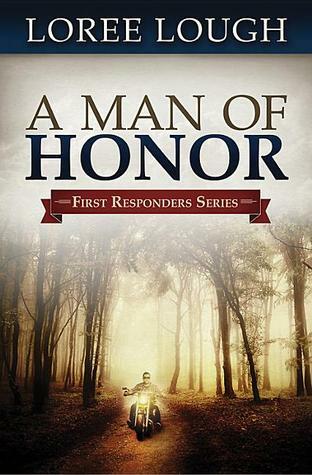 A very good book about first responders, someone we don't always think of as 'hero's. 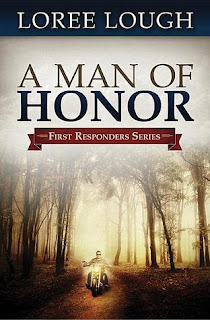 With nearly four million 4- and 5-star books in circulation, reviewers and readers alike have called best-selling author Loree Lough “a gifted storyteller whose novels touch hearts and change lives.” The 3rd novel in her popular First Responders series, A Man of Honor (Loree’s 88th published book), reaches bookstore shelves this September. Loree and her husband live in the Baltimore suburbs and love spending time at their tiny cabin in the Allegheny Mountains, where she loves to show off her “i.d the critter tracks” skills. She loves to hear from readers (who can email her via http://www.loreelough.com/) and answers every letter, personally.